Benedict Drew, THE ANTI ECSTATIC MACHINES, 2018. Courtesy the artist and Matt's Gallery, London. Benedict Drew’s THE ANTI ECSTATIC MACHINES acts as a prologue to a body of work around ecstatic states. For Drew ecstatic states appear as a cultural imperative engendering positive forms of resistance. In searching for this we are confronted by forces that seek to destroy the feeling. 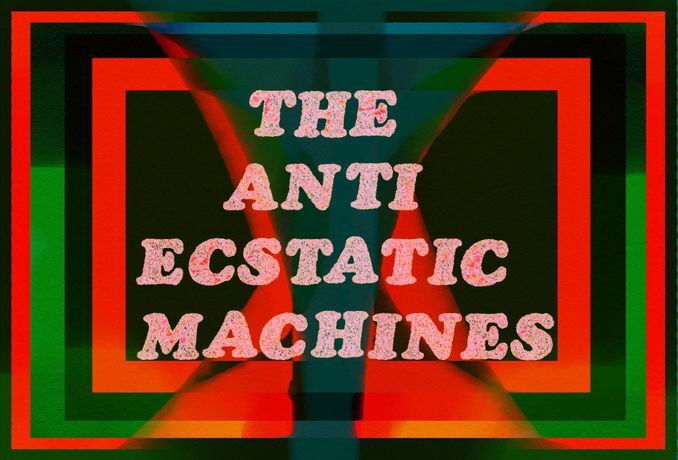 THE ANTI ECSTATIC MACHINES is a song in digital video, painting and sound. Drew’s source material is a body of film he has shot in 16mm at sites around the south of England. 16mm film marks a new development in the artist’s practice, who has transferred the analogue footage into digital video for editing. Locations such as the port at Dover, the industrial greenhouses of Thanet Earth and new-build residential housing developments become material for a body of work whose backdrop is the social and political fall out of Tory austerity and the EU referendum. Location footage is interspersed with scenes of objects shot in the studio. Through working with the film the artist attempts to decode the bad vibes emitted from these sites in the hope of finding an antidote. A series of paintings adorn the gallery walls, watching the film. The 'Machines' of the title here stand in for forces at work in the socio-political climates we live in. How do we respond to the malign forces we find at work in our contemporary lives? The ecstatic states of whirling dervishes, primal screaming or Sun Ra's interstellar free jazz might indicate navigational tools we can put to use. This is thirteenth in Matt’s Gallery's ongoing series of 10-day shows at Webster Road. Benedict Drew is represented by Matt's Gallery, London.